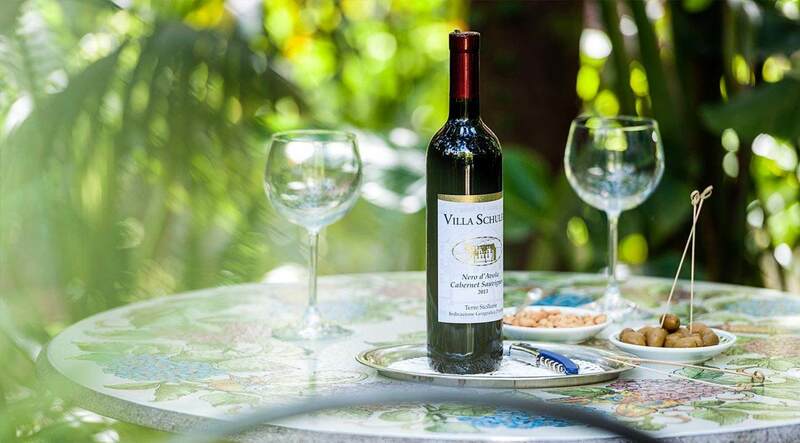 Family run for 3 generations since 1905, the Villa Schuler is characterised by its refined ambience and informal atmosphere inviting its guests to experience it as a real “home”. Our professional and discrete multilingual staff provides a 24 hour service to assist you in all details concerning your stay on our beautiful island, always trying to make it a memorable one. 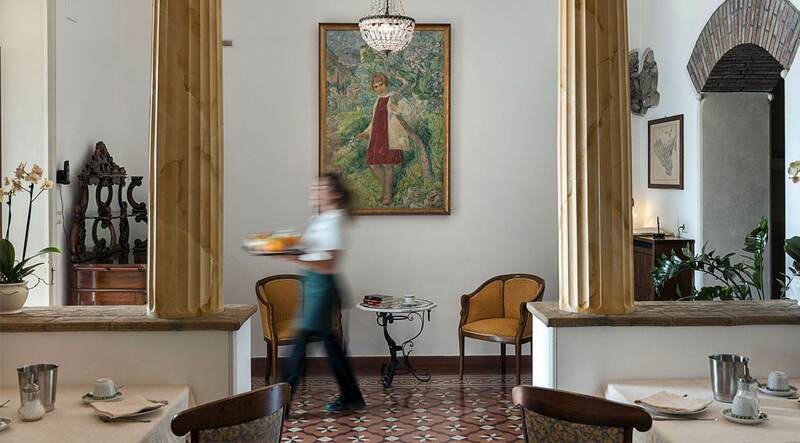 Breakfast at the Villa Schuler is served à la carte in the classic style of traditional Grand Hotels. The large choice of our full breakfast menu offers the possibility to order individually your breakfast adding the pleasure to be served at the table and enjoying delicious hot dishes rigorously prepared fresh to order. Your breakfast can be served on our panoramic Palm Terrace with view of the sea and of Mount Etna, in our elegant Orangery, in the breakfast room “Etna”, on our Rooftop Lounge&Terrace or also in your room. Are you celebrating a special anniversary, a romantic weekend, your honeymoon, birthday or your wedding anniversary? Here at the Villa Schuler in Taormina it will be a memorable and unique event that we will organize for you in a very personalised and joyful way. It can be a fingerfood garden party on our panoramic Palm Terrace, a light dinner party in our elegant dining room or an intimate sunset cocktail before dinner organized for you on our romantic Rooftop Lounge&Terrace with breathtaking unique views over the Bay of Naxos and of Mout Etna. 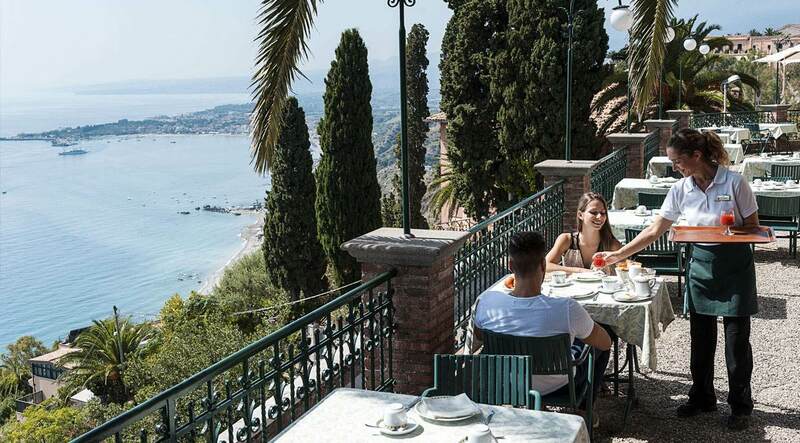 Taormina has more than 80 restaurants, from the traditional Sicilian “trattoria” to Michelin-star rated restaurants. Following your preferences and specific expectations we are able to suggest an accurate and personally tested selection of restaurants, which takes also in consideration the comments we get from our clients day by day. 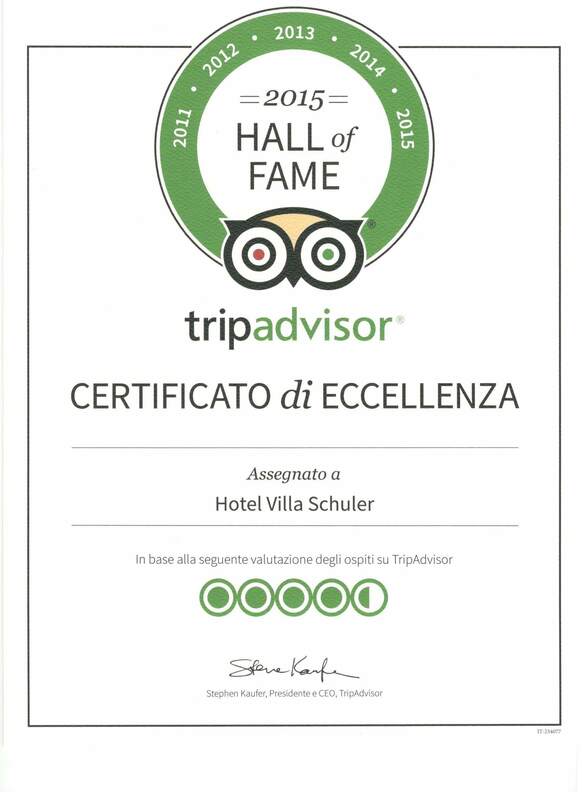 Our hotel is also member of the Sicilian gourmet association “Le Soste di Ulisse” and we can recommend also outstanding restaurants for your onward journey on your “Tour of Taste” through Sicily. In Taormina’s surrounding area there are some renowned farm wineries producing some of the best Sicilian wines on the slopes of Mount Etna, the oldest wine-growing area on Sicily. An excursion through the famous Alcantara Valley or to Mount Etna with a guided tour followed by a professional wine tasting is a genuine feast of the senses. We will be happy to organize your customized individual excursion combined with an unforgettable wine and olive oil tasting.